Welcome to our Driving School in Leeds. 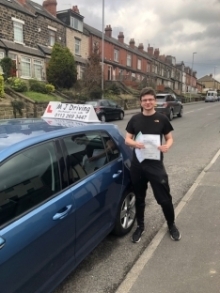 We offer the best driving lessons in Leeds, using the best proven coaching methods, delivered by top grade driving instructors in Leeds and the surrounding areas. 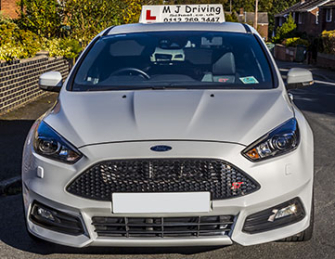 From regular weekly driving lessons in Leeds to full intensive driving courses in Leeds, we can fulfil your driving requirements with our local fully qualified DVSA approved driving instructors covering all Leeds postcodes. 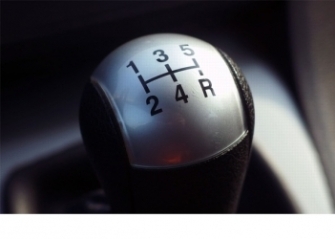 Here at MJ Driving School Leeds we offer NHS and Student discounts. 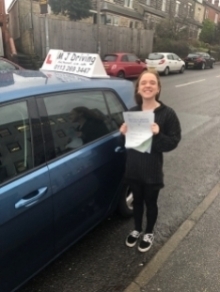 MJ Driving School Leeds - Leeds Best Driving School. 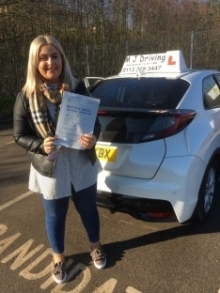 If you want to Learn to drive in Leeds, then look no further and take to the road with driving lessons in Leeds with MJ Driving School. 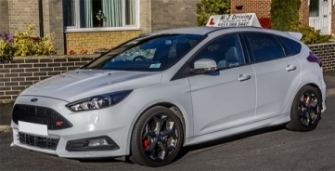 Contact your Local Team of Fully Qualified Leeds Based Driving Instructors. 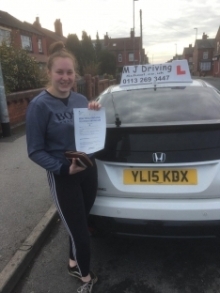 By Choosing MJ Driving School for your Driving Lessons in Leeds you will be coached to the Highest Standard throughout your Learning to Drive in Leeds experience. 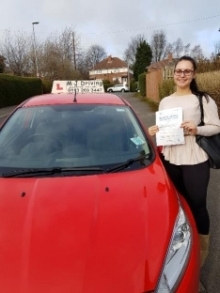 All our DVSA approved Driving Instructors in Leeds are highly experienced and have excellent knowledge of all local driving test areas in Leeds and the surrounding areas. 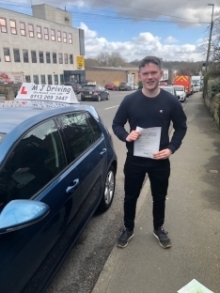 You can start your journey to a Full driving licence by calling our Leeds Based Driving School Office on 0113 269 3447 / 07496 184 021 where we will happily discuss your Driving Lessons in Leeds requirements; answer any questions you may have; and help you with matching your availability with one of our Driving Instructors in Leeds. 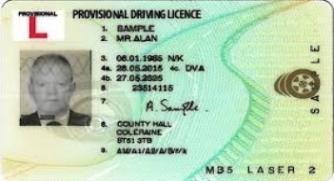 This Video is a really useful guide to the practical driving test. Fantastic driving school. 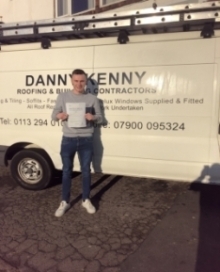 Passed in just 9 weeks with just two minors. 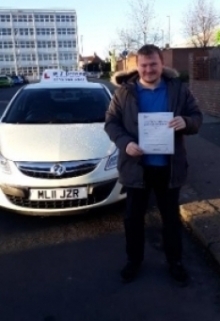 My instructor (Mr Lodhiel) was a very good teacher, very helpful and I am very pleased to have picked this school and had this high class service. Prices for the lessons are also more than reasonable, especially for my area. 5 star guys thank you very much . 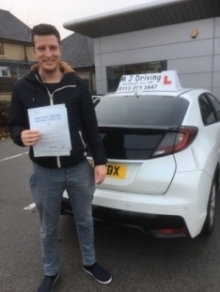 Graeme is a brilliant driving instructor who really went beyond what I was expecting. 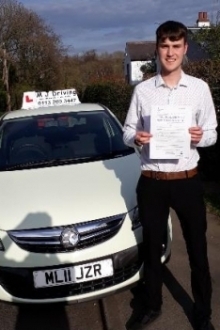 Having had a poor driving instructor in the past, he is miles ahead in terms of his teaching methods and ability to explain everything in a clear, understandable manner. He was really calm and patient amongst the many mistakes I made! But the sole reason I was able to pass my test first time was down to him and the belief and confidence he installed in me. 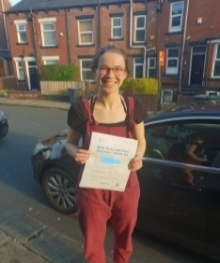 what an instructor, she helped me a lot and I passed my test today with her, the things I like about her is that she put me at ease as I was suffering with low confidence. “Salma” I’m so overwhelmed with what we did, and a big thank you to you for your patience. 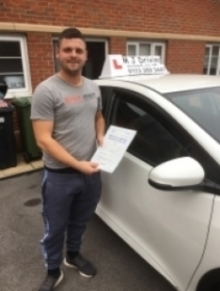 Would definite recommend MJ Driving School Leeds, in particular my instructor Robert Ley. He was very patient with my dithering, a good teacher and I had a laugh. Great experience and I'm enjoying driving now I've passed my test. Thanks! After failing my test several times in Liverpool, I decided to return to Leeds and take my test there. I had contacted MJ driving school who had assigned me to Maan. 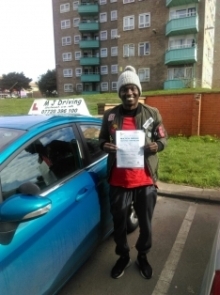 Maan is a skillful instructor who maintains a calm approach to driving which positively impacts on the driving lesson. 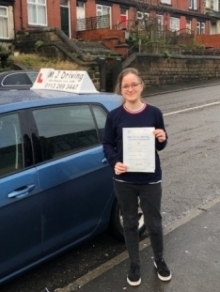 With Maan’s help, I was able to pass my driving test first time round in Leeds. Would highly recommend! Brilliant rates, great cars and even better instructors. I've had the best experience out of 3 different driving schools. Remember though, ask for Paul! You'll pass in no time. Salma Saleem is such a talented instructor, she really motivated me to pass and was continuously positive. Salma went above and beyond to ensure that I passed my driving test! Can’t thank her enough! 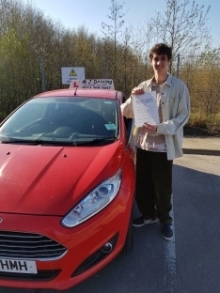 So glad I finally found you after learning from instructors that just wasted my time and were not focused on equipping me with the skills and knowledge needed to pass a driving test! 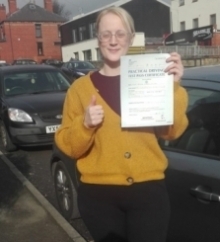 Recent practical driving test passes in Leeds. 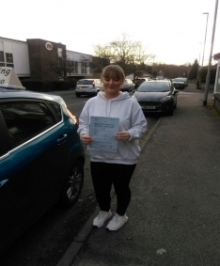 The following all passed their driving tests following driving lessons in Leeds with our School. 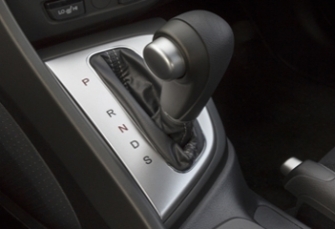 We wish all our new drivers happy and safe driving. You could be one of our future successes.